Thanks. I like the comment about sometimes i would listen to just one Yes album god i did that on every album they made and I fine myself still doing that. Thanks, Paul. Joost is a very interesting and talented guy. You are right that Yes music has ts own spirit – something impossible to define which is bigger than the individual members of the band at any one time. Here’s to the future of the world’s greatest progressive rock band! Hi Paul, thanks for your insight! Indeed some of their best albums have been made when everything was working for them, when they had time to create the music and record it. 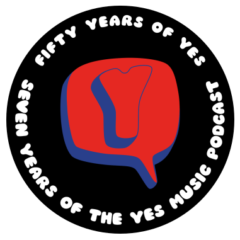 But even when Yes produce an album of already finished songs (like it was with the Squire/Sherwood driven Open Your Eyes) they still manage to produce some solid music. Personally I think Benoit sounds good on the album but what I didn’t managed to say in the podcast was that I thought live he was a bit disappointing, singing out of key a lot… Never mind – filling Jon’s shoes is not an easy thing to do and he does it with daring and flair. Again thanks for listening to this podcast special. I think Kevin’s work is astounding and thank him for being a part of it. Thanks so much for the kind words, Joost. It’s great to be part of such a passionate community!